Our tested formula is suitable for all skin types (from oily skin to combination skin), is 100% vegan, and features patented Temperature Control Technology. 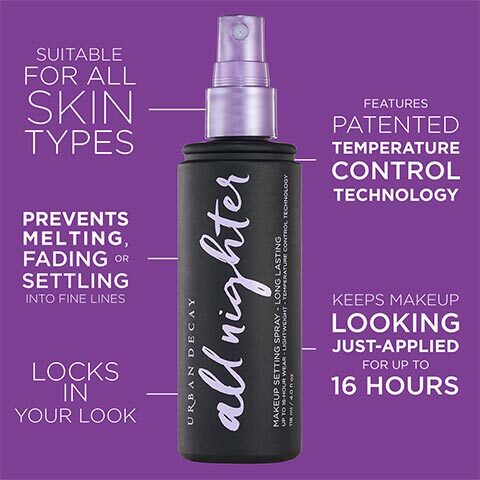 Yep, this setting spray actually lowers the temperature of your makeup to keep the foundation, eyeshadow, blush, and concealer in place-even in hot and humid or cold and windy conditions. The result? Smoother-looking skin and vibrant makeup that lasts all say (or all night). and when I woke up it still looked like I'd left my house. This is the key product in my daily routine.